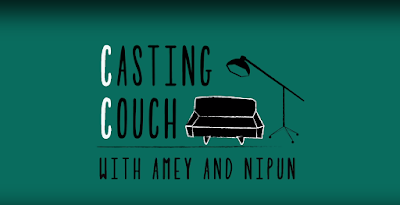 You may have read/heard many stories of "Casting Couch" before from film industry around the globe, but now which i am revealing is little bit different it is from marathi film industry which has nothing to do with the sexual- favors usually related to this term. 'Casting Couch' is a first marathi web series, which is directed by 'Sarang Sathaye' whom we have seen in 2016 blockbuster movie "Natsamrat" as Siddharth, the webseries has went live on new youtube channel named 'Bharatiya Digital Party'. 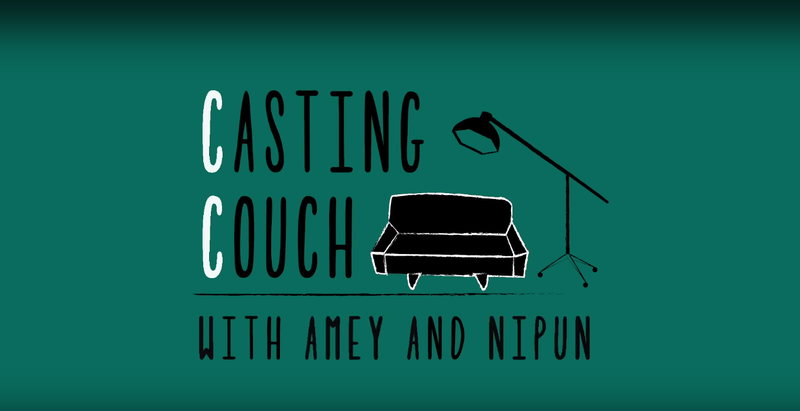 The web series is a talk-show where Marathi Celebs will be invited on the couch for a talk. The show is hosted by 'Dil Dosti Duniyadari' fame actor "Amey Wagh" and director "Nipun Dharmadhikari" though you may have not known much about him but he is immensely talented Theater actor, director, producer who is also a founder of Pune based theater company named 'Natak Company'. So talking about the web series 'Casting Couch' the first guest on list is "Radhika Apte" following is its teaser do watch it.